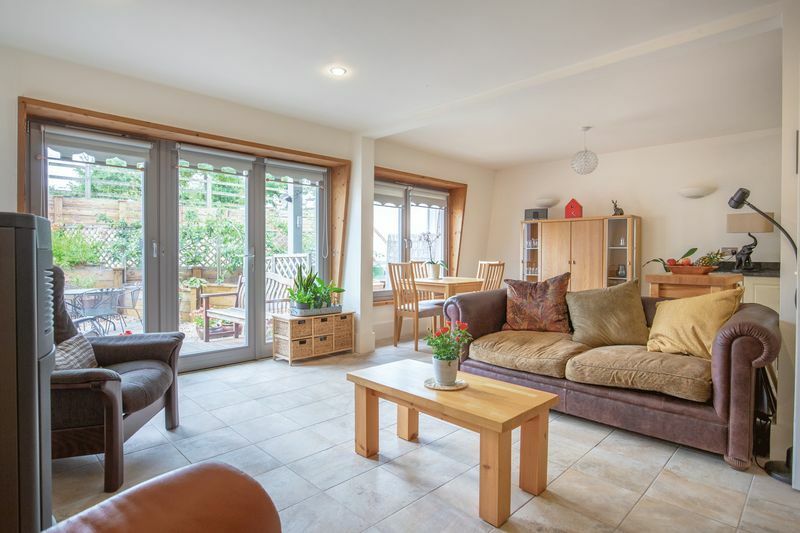 A carefully designed eco house that has been purpose built in 2010 to provide a very comfortable, light, airy and spacious living environment with minimal running costs as well as an income. 4 The Old Apple store is part of a small courtyard development set back from the quiet village road. 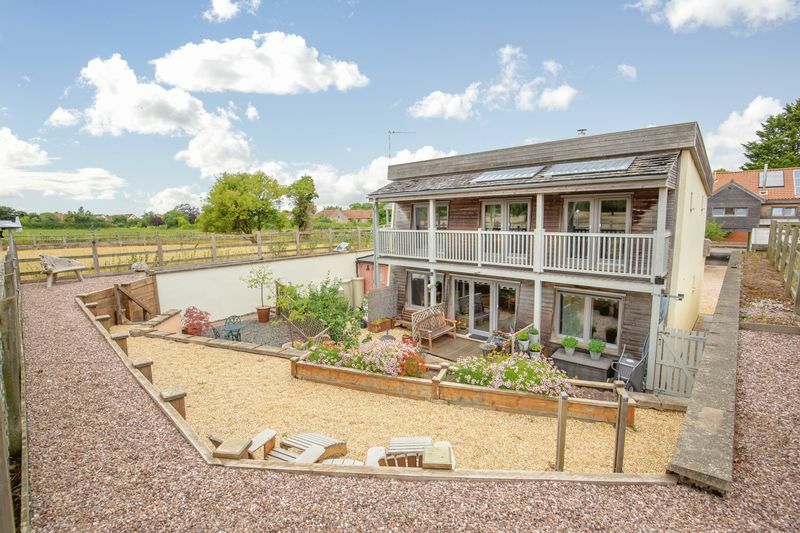 South facing, sheltered and with lovely views over an orchard and fields. 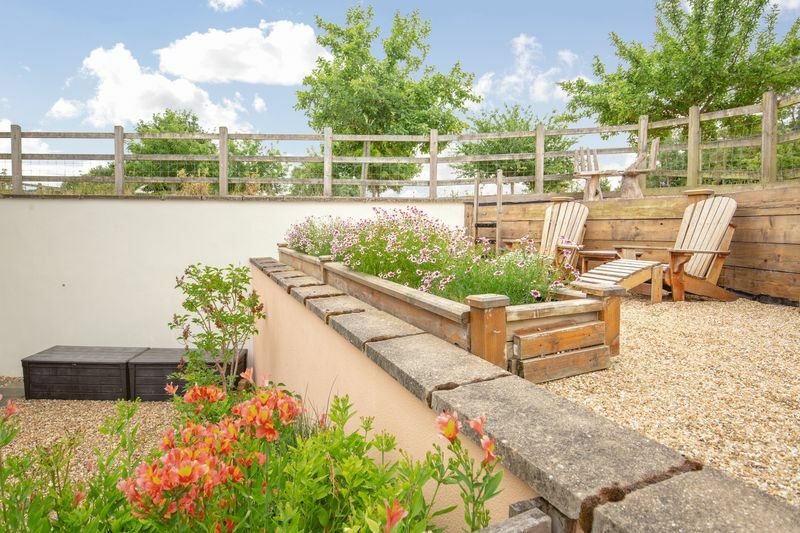 It has a beautiful, easily maintained tiered garden. Cedar cladding and lime render allow the house to breathe and maintains humidity at a comfortable level. Humidity sensors, in all the wet areas, extract excess moisture via the mechanical ventilation system. All windows are triple glazed. 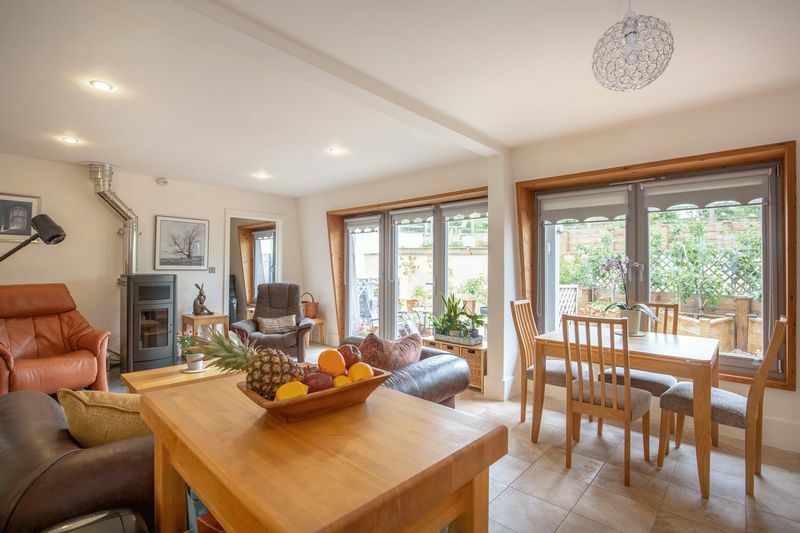 The open plan kitchen/dining/sitting room is at the heart of the house, large tilt and turn windows and French door, enable light to flood in. There is a modern efficient pellet stove in the sitting room, this provides central heating and/or hot water at the touch of a button. 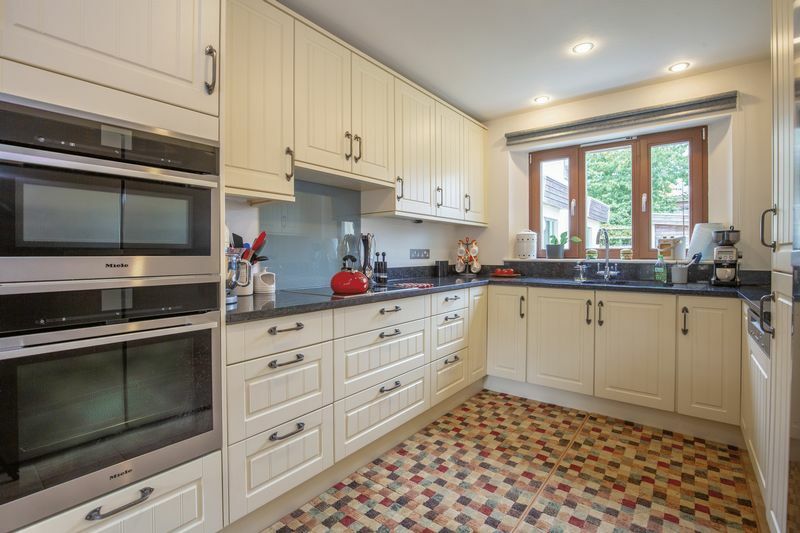 The modern kitchen was put in during 2015 and has top of the range Miele appliances: family oven ideal for bread making with moisture options, combination microwave which is also an oven and a grill, fridge, freezer, dishwasher and induction hob. 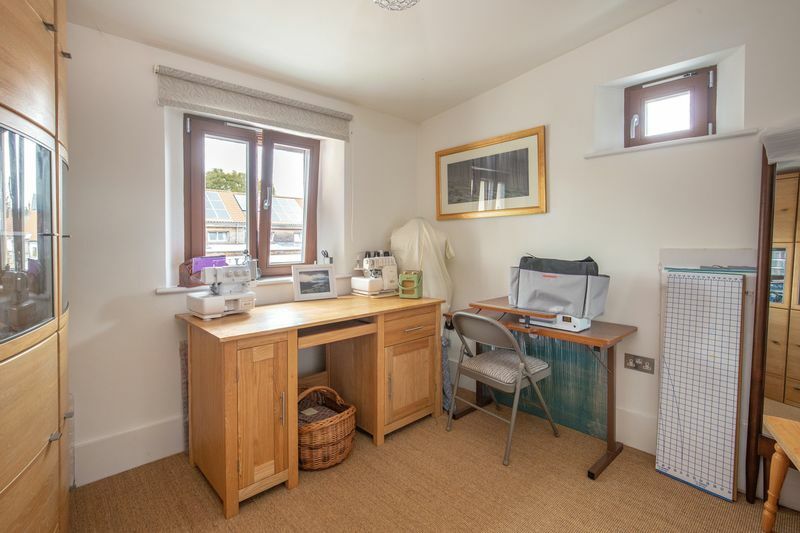 There is a separate utility room with a Miele washing machine. 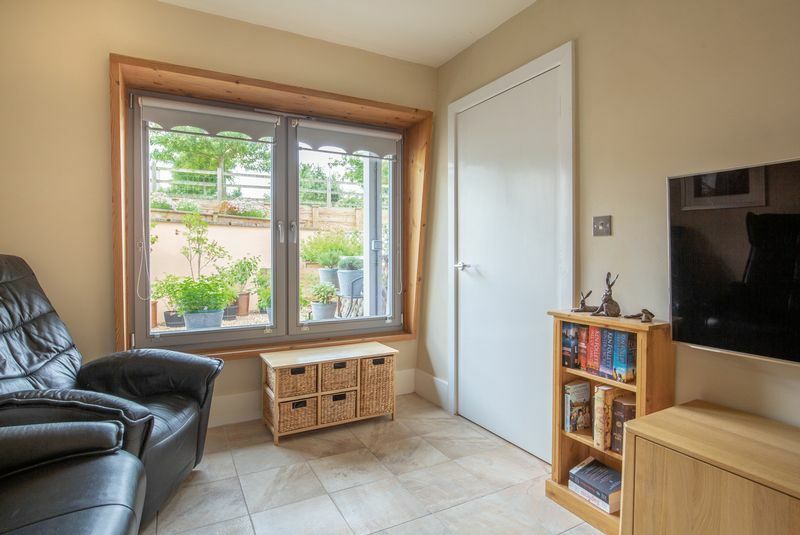 The comfortable snug also has a large window and is ideal for watching tv or for a quiet space. 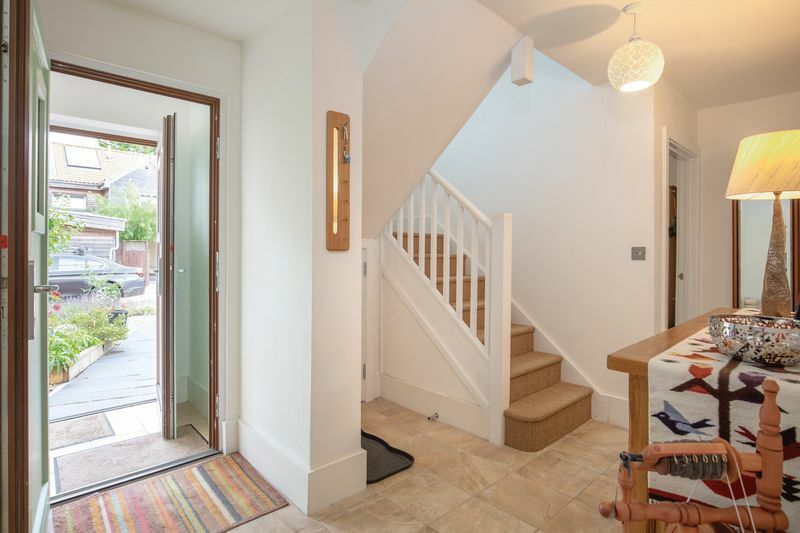 The front door opens onto a small porch, with a second door onto the spacious hall. The study opens from the hall. 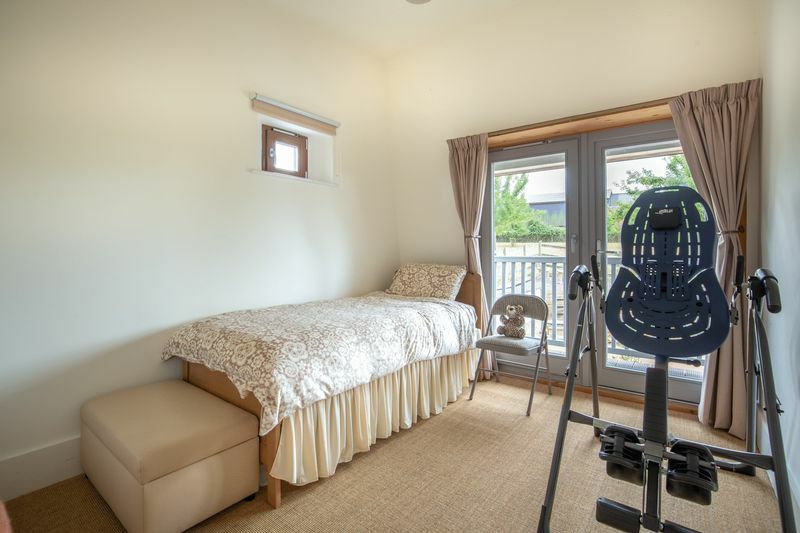 The utility room also opens from the hall and houses the eco controls, rainwater harvesting and solar thermal pump. The radiator in the utility room is the master radiator and this room is an excellent drying facility for clothes, any moisture is extracted via the humidity sensor. 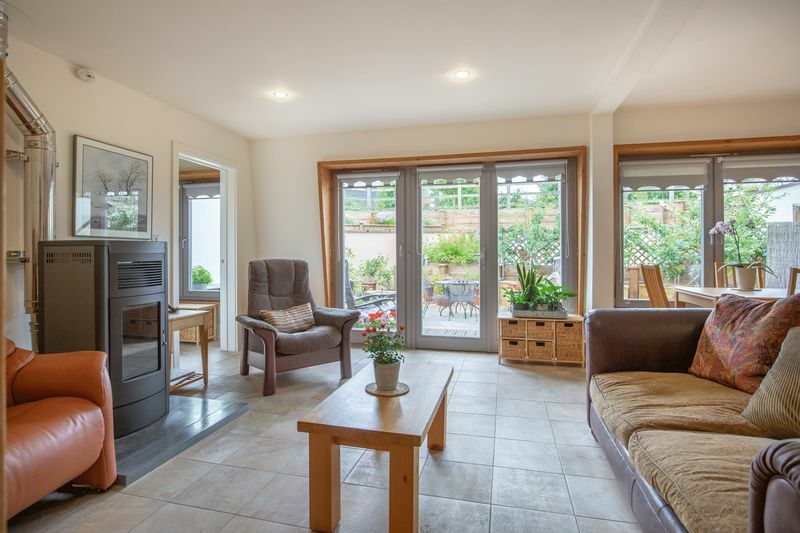 There is a large insulated hot water tank, which is fed mainly by the solar thermal panels with added heat when needed via the pellet stove or immersion heater. 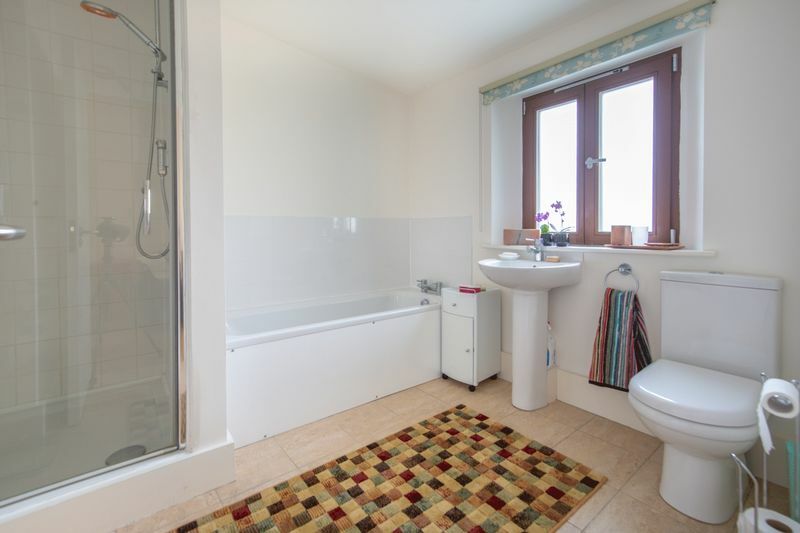 The utility room contains a wc, wash basin and washing machine. 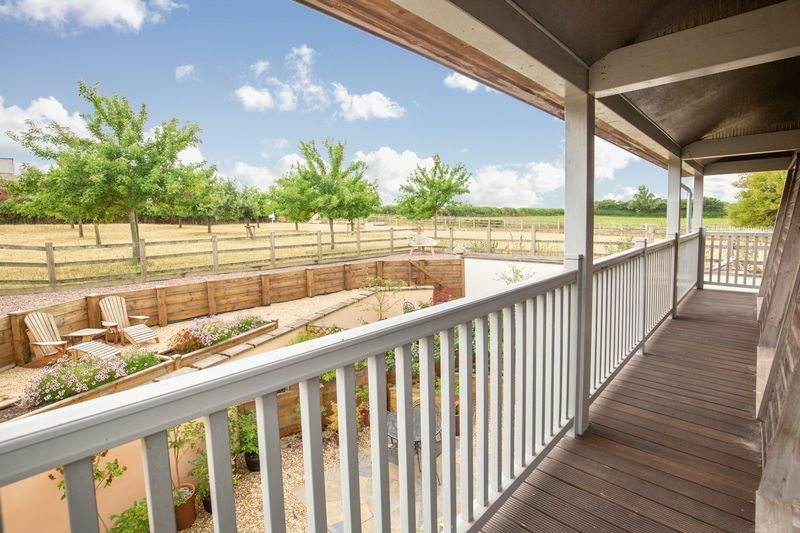 A large verandah runs across the south side of the house, doors lead onto this verandah from three bedrooms. 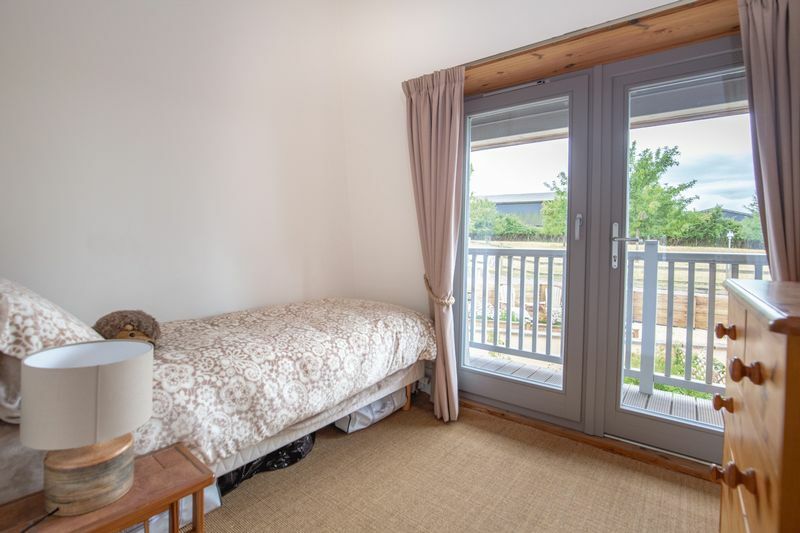 The verandah allows a quiet sitting area and is strategically designed to allow shade around the height of summer and solar gain from autumn through to spring, helping to maintain a comfortable house temperature all year round. 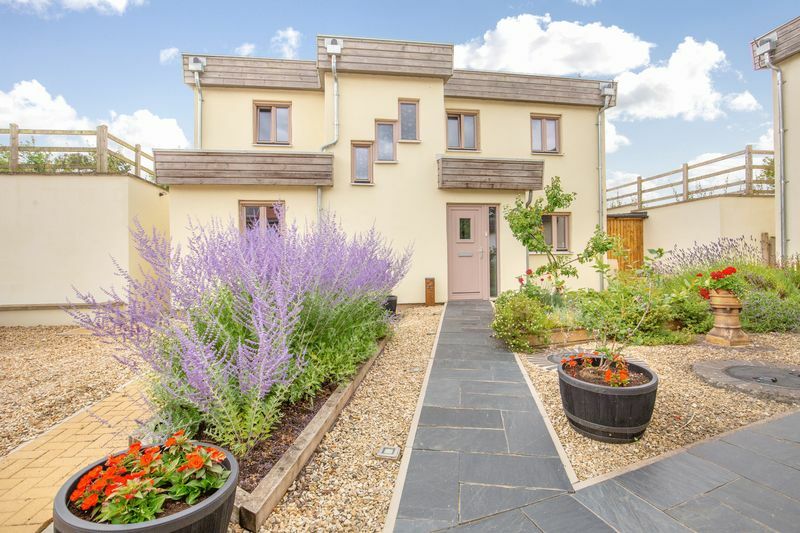 On the first floor is a large landing which leads to three double bedrooms, one with an en suite, a single bedroom and a family bathroom. 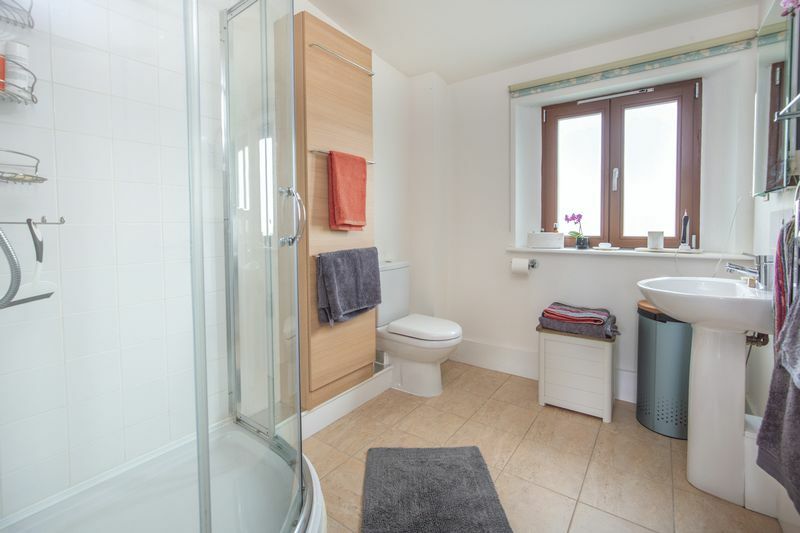 The en suite contains a shower cubicle, wc and wash basin, the bathroom contains a bath, separate shower cubicle, wc and wash basin. 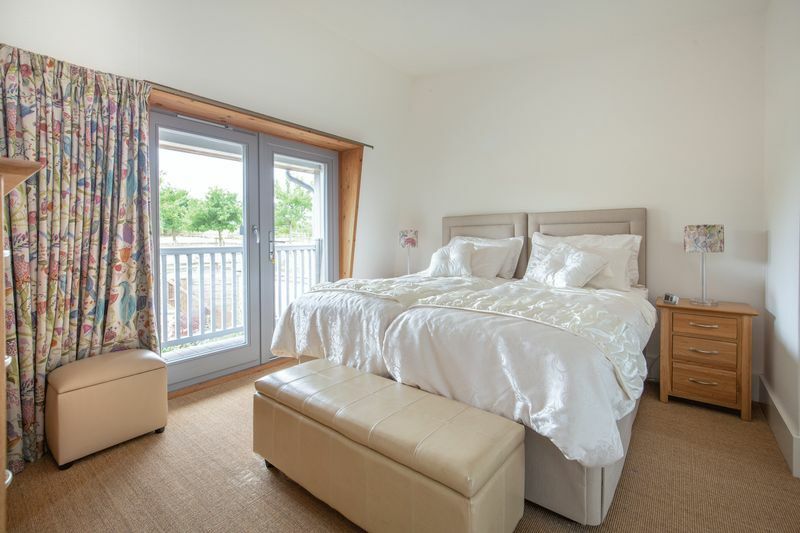 Each bedroom contains fitted wardrobes and the airing cupboard on the landing is large. 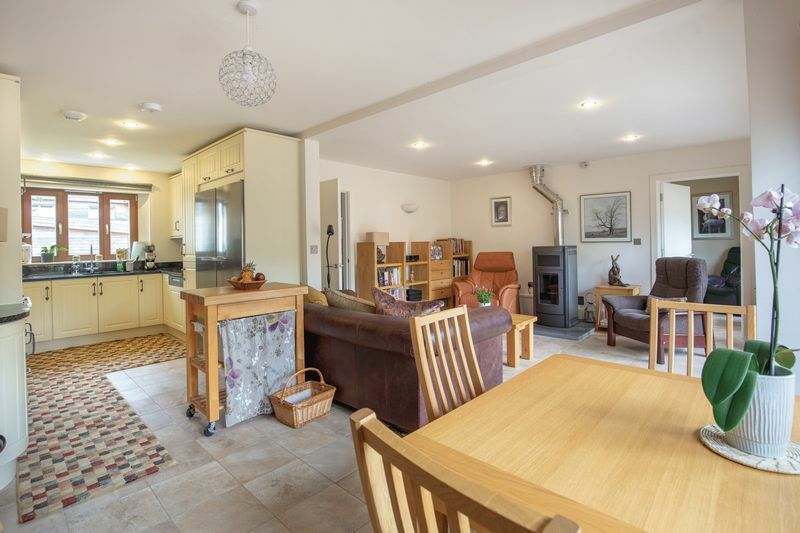 There is a large and very well constructed and insulated store, designed by the owner who was a structural engineer and built by a local joiner. Mains electricity is close by and power could easily be connected. The store has potential as a workshop, craft room, office etc. The garage is opposite the house, has plenty of electric sockets and good lighting. 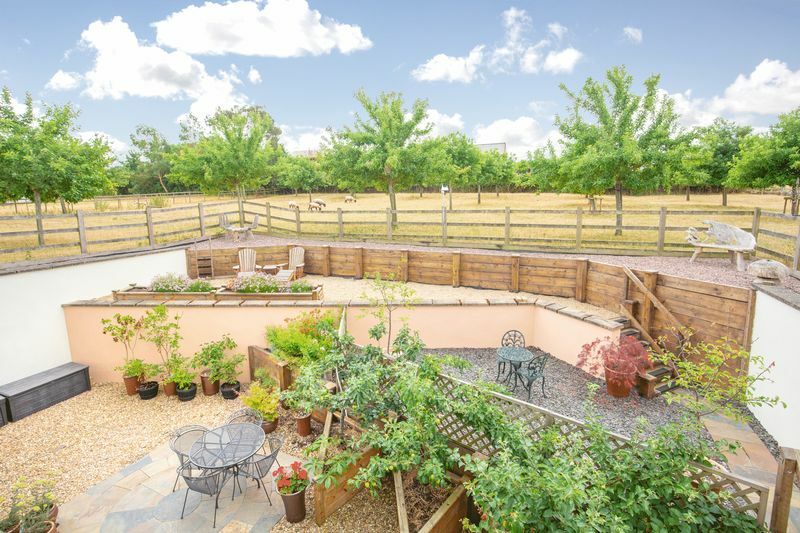 The back garden is quiet, pretty, tiered with raised beds and various gravelled area. There are established plants and apple trees and various seating areas. 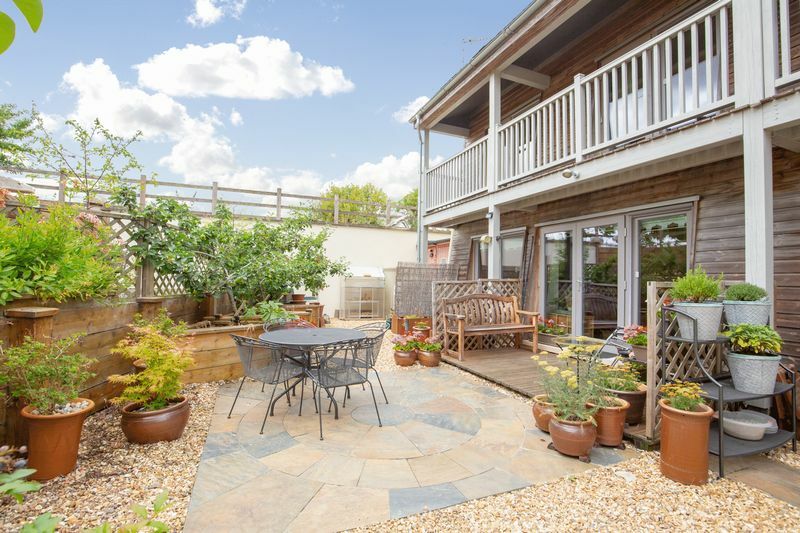 The front garden area contains the rainwater harvesting tank and has been designed to be low maintenance and again, very attractive. 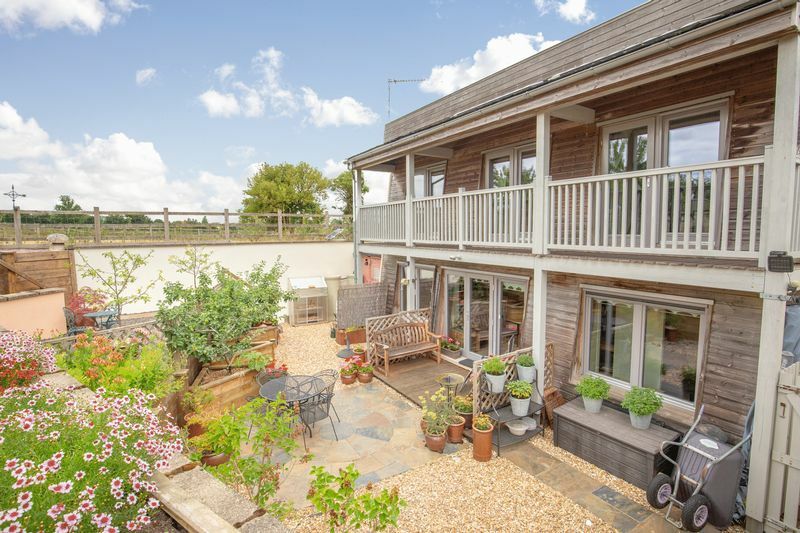 It is conveniently situated near Bridgwater, Street and Glastonbury where all the usual amenities are located. 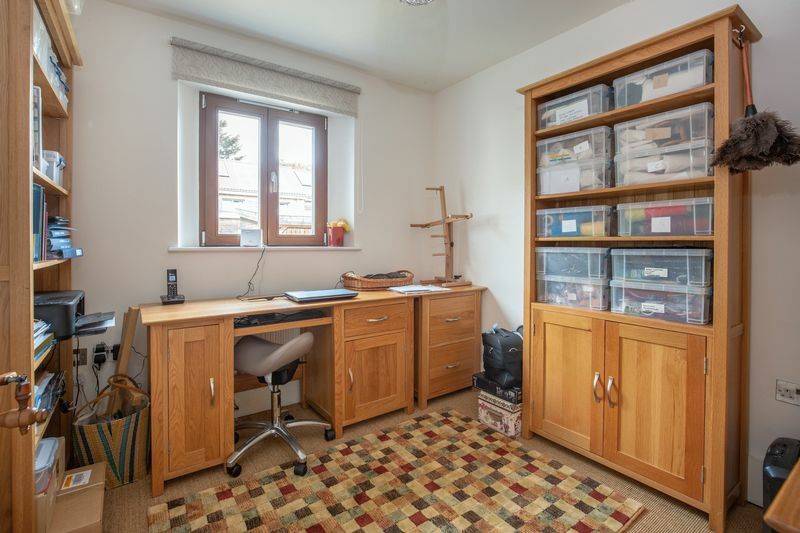 Edington, just over a mile away has a superb shop and post office and a doctors surgery. 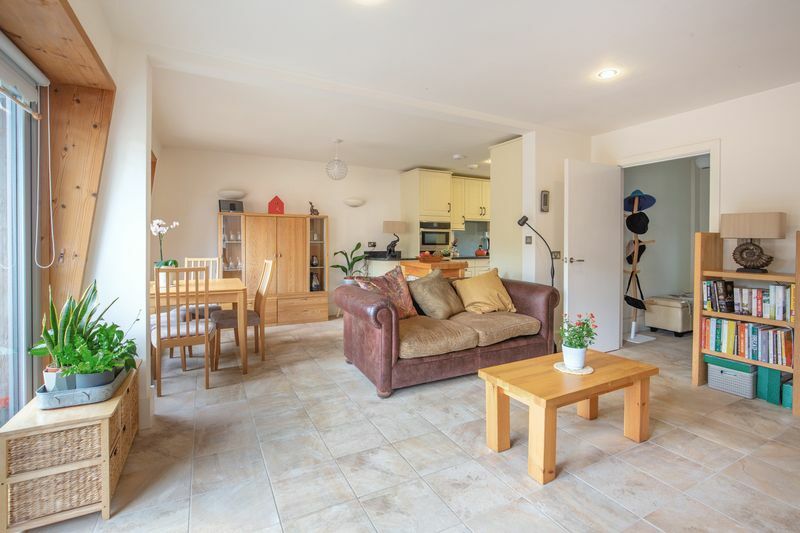 Clarks Village shopping centre is a few miles away and the popular Cribbs Causeway shopping and entertainment centre is a short drive up the M5. Junction 23 of the M5 is approximately 4 miles away, and the county town of Taunton is reached via a short drive along the motorway at Junction 25. There are rail links in Taunton and Bridgwater, and both Bristol and Exeter airports are less than an hours drive away. Take the A39 from Street to Bridgwater and take the left turning signposted Stawell (Moor Road). After about a mile turn right onto Stawell Road. The property will be on the left after about a mile, in a small courtyard development. IMPORTANT - When leaving the property and returning to the A39 Glastonbury/Bridgewater road for safer access onto the A39 turn right out of the property and immediately left by the red telephone box. Follow the lane through the village and up the hill to the top where the lane will meet the A39.